The 53rd Golden Horse Awards were held this past Saturday night in Taipei at Sun Yat-sen Memorial Hall. 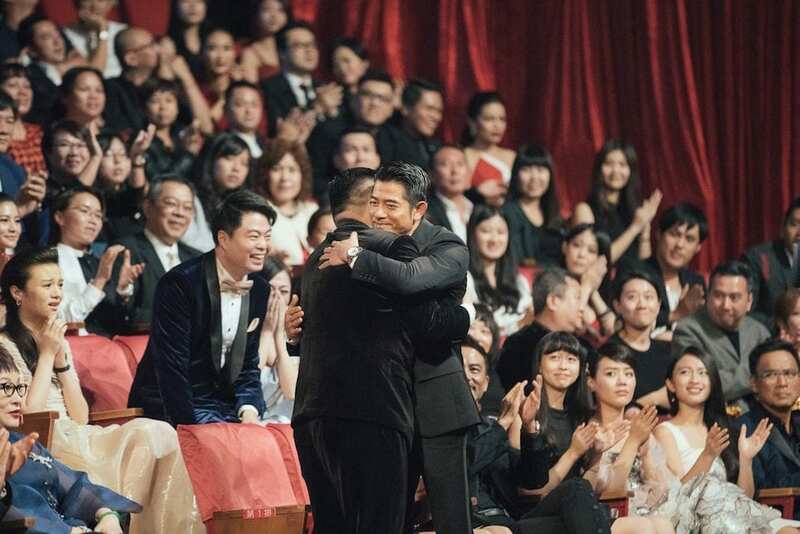 It’s been Mandarin-speaking Asia’s answer to the Oscars since 1962. The humble stage where Tony Leung won Best Actor in 1994 for Chungking Express. Where Ang Lee declared his Taiwanese pride. Where Shu Qi is a total babe every year, even when she’s ugly crying. In fact, I can guarantee you will never see more emotion from a group of Asians, anywhere. I can’t say I recognized many of the stars on this year’s red carpet, but watching it did make me nostalgic for stars of years past. Here are some vintage highlights from the official Golden Horse Awards YouTube channel. I’ll admit that a huge part of the charm is watching Cantonese-speaking movie stars give acceptance speeches in Mandarin. Oh, an interesting fact: the name Golden Horse is a portmanteau of Kinmen (金門) and Matsu (馬祖) islands. Chow Yun-fat being utterly irresistible and charismatic in 1985. A fresh-faced Stephen Chow wins Best Supporting Actor in 1988. In 1989, the best reaction to losing…from the one and only Jackie Chan. Brigitte Lin accepting her Best Actress award in 1990 and proving she is a certified babe. Maggie Cheung presenting alongside Brigitte Lin the same year. I’m a huge Maggie Cheung fan. Takeshi Kaneshiro and Faye Wong being their charming, genetically-blessed selves back in 1999. So many great Ang Lee moments, but a really cute one is this from 2008, where he’s adorably shy presenting next to his crush, Brigitte Lin. Finally, flashback to the very first Golden Horse ceremony in 1962. You’ll see the most gorgeous qipao at the 00:37 mark. If you find yourself with free time, you can learn more about the history of the awards, see past winners, or browse the Golden Horse YouTube channel.